Primary amenorrhea may be caused due to hormonal imbalance, genetic abnormality etc. Secondary amenorrhea is the absence of menstruation during pregnancy, lactation and menopause. It is a physiological one and not pathological. Other than hormonal imbalance certain other conditions that cause both the types of amenorrhea are stress, unusual weight gain or weight loss, thyroid defects, ovarian cysts or polyps, improper diet and improper lifestyle. Chander Prabha Tablets : 2 tablets twice daily before food with plain water. Female Health Support: 2 capsules twice daily before food with plain water. Punarnava Mandoor: 2 tablets twice daily before food with plain water. As a long term or frequent condition, it is mainly a deficiency disease due to Vata. But the other doshas can cause it as well. Lack of body fat and too much of exercise can bring it about, which is why athletic women often fail to get their menstrual period. 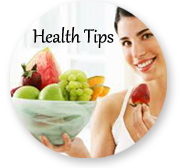 Causes are exposure to cold, poor nutrition, anemia, emaciation and dehydration. Displacement of the uterus, hormonal imbalance, emotional trauma and other factors may be involved. It may even result from severe or wasting diseases such as diabetes. Amenorrhea can occur along with constipation or caused by the same factors that produce it. 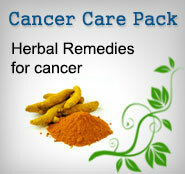 In severe cases, it is related to blood or liver disorders, which should be the primary focus of the treatment. Herbs to promote menstruation are indicated, generally along with tonics to rebuild the reproductive system. Myrrh by itself is good for amenorrhea and the resultant pain, particularly taken as a tincture 10-30 drops every 3 to 4 hours. An anti-Vata or tonifying diet is primarily indicated using dairy, nuts, oils, whole grains and other nourishing foods. Warm sesame oil can be applied to the lower abdomen. Mild laxatives such as Triphala or Castor oil in low dosages. For amenorrhea due to cold, spicy herbs such as ginger, black pepper, cinnamon, rosemary or the formula Trikatu are best. Ayurvedic herbs for Vata-type delayed menstruation include asafetida, cyperus, myrrh, ashwagandha, Shatavari and black and white Musali. Kapha type delayed menstruation is due to congestion and sluggishness in the system. It can also be treated by strong spices like ginger, cayenne, cinnamon or black pepper. Pitta type is usually mild and can be treated by common herbs like turmeric in milk. Good herbs are rose, cyperus, dandelion and other cooling emmenagogues.